Polyaniline (PANI) and its composites, the most popular conducting materials whose unique properties and applications are drawing a worldwide interest, are the focus of this book. Their main synthetic methods will be herein presented, ranging from the traditional protocols to the innovative eco-friendly routes which employ “green” oxidants and proper catalysts. A brand new preparation protocol able to facilitate the polymer processing into pure PANI electrospun nanofibers will also be described. The possibility to combine the fascinating conducting properties of polyaniline with those of other materials has opened the way to the preparation of amazing composite materials. The PANI–inorganic nanocomposites find a particular place inside this book, together with the principal analytical techniques for characterizing such materials and an updated description of their huge spectrum of applications. Polyaniline and its composites, in fact, are already successfully employed in many electrical and optical devices, as well as advanced gas sensors, but novel emerging usages in EMI shielding, anticorrosive and biomedical materials are now showing their great potentiality. 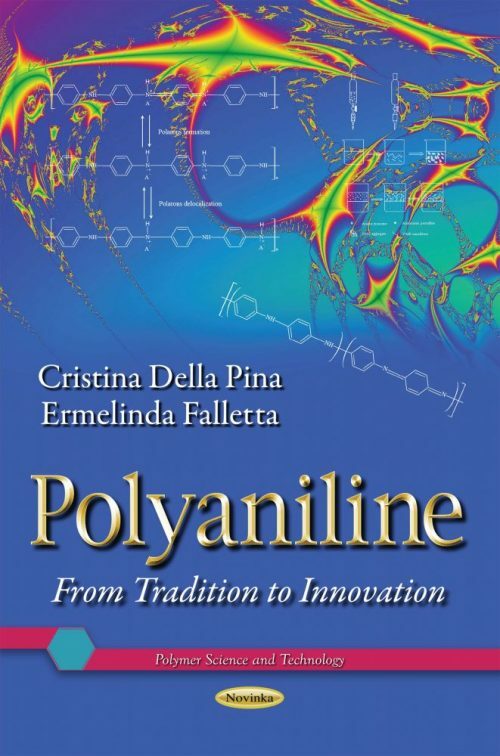 Academics, researchers, scientists, engineers and students in the field of material science, chemistry, physics, electronics and nanotechnology will benefit from this book which reports the updated accomplishments in polyaniline research and it is application-oriented. Audience: Academics, researchers, scientists, engineers and students in the field of material science, chemistry, physics, electronics and nanotechnology will benefit from this book which is application-oriented.